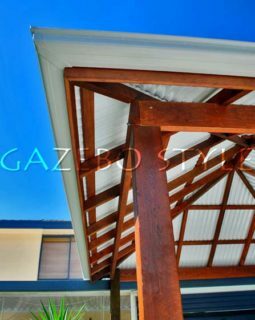 Manufacturers warranty Australian Treated Timber Pine 25 years. 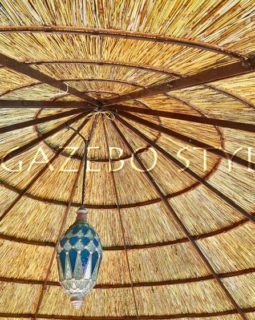 Gazebo Style warranty on manufacture and construction of timber frames 7 years. 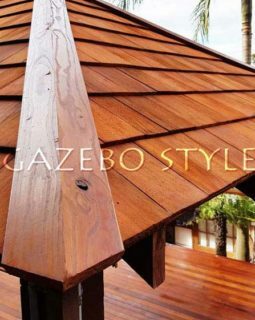 Australia Treated Timber Pine for roof frame and posts, stained with minimum 1 coat of Intergrain wood stain, customer choice of colour. 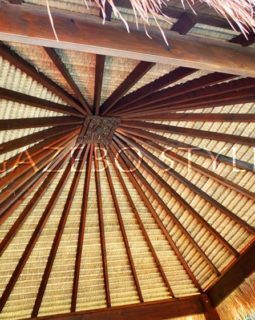 Genuine imported Grade “A” White String Alang Alang Bali Thatch. 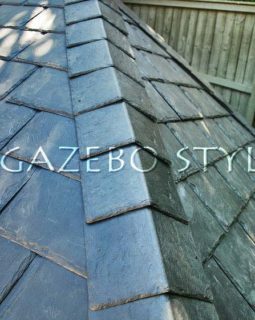 Blue Label Western Red Cedar Shingles, stained with decking oil. 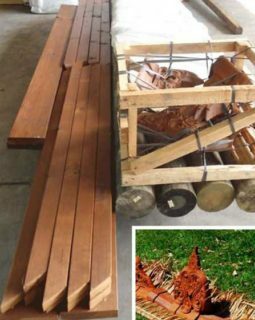 Genuine Australian Colorbond Steel, latest colours, customer’s choice. 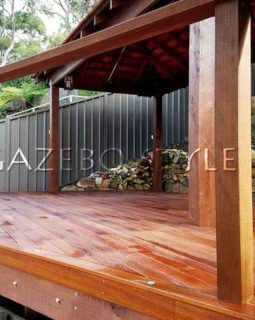 Decking timber Treated Pine frame, choice of timber decking in Merbau, Cypress Pine, Blackout or Spotted Gum. 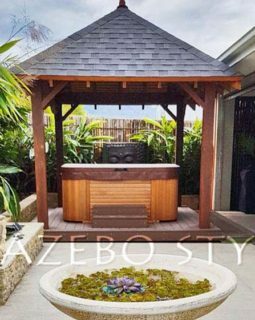 All decks constructed with piers and footings.